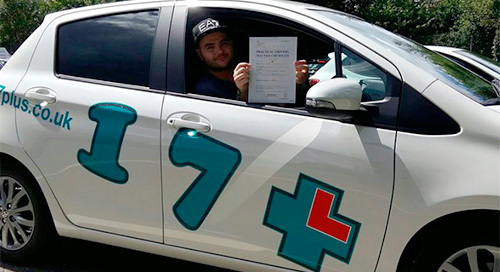 Our intensive and semi-intensive courses are designed to help pupils through to the practical driving test in as short a time as possible – in the most flexible way, allowing you to be less nervous and more confident. The course will start with an assessment lesson with one of our highly qualified experienced assessing instructors – which costs £40.50 and lasts for 1½ hours. Depending on whether the pupil is a complete beginner or already has some experience, the assessing instructor will teach them a few basic skills and see how they respond to instruction and to certain situations that may develop. From here our assessing instructors will be able to tell the pupil how many lessons they will need to get to test standard and give them a price for the course – based on a rate of £25.00 per hour. 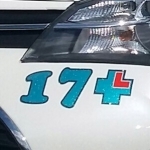 Each course instructor will explain to the pupil how 17 Plus will help them to proceed through to the theory/hazard perception test and finally the practical test. A schedule of lessons will be arranged – working in with the pupil’s work/college schedule. Hazard perception and theory training is included in all our courses FREE of charge. The course will be taken in a relaxed atmosphere – in the shortest time possible – and with the least amount of stress. The full course price has to be paid in advance to qualify for the discounted rate.